JACKSON, Tenn. — The family of a young Jackson man who was shot and killed last year are honoring him Friday. 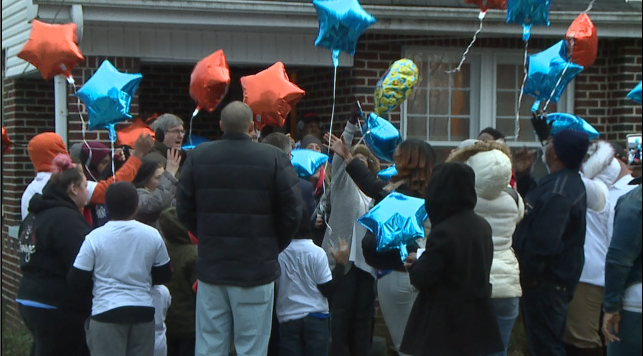 Friends and family of Daithan Cobb gathered in midtown Jackson to celebrate his birthday with a balloon release. Cobb was shot January 28 of last year in an alley near North Highland. Cobb would be turning 21 on Friday. Friends and family say they are releasing these balloons in remembrance of him. Braxton Taylor, 19, is in custody at the Madison County Criminal Justice Complex in connection with Cobb’s shooting. Taylor is charged with first-degree murder and investigators say they expect to file additional charges against him.